Change the way you control quality with a range of over 600 QC organisms suitable for clinical, pharmaceutical, food and water testing markets.Thermo Scientific™ Quality Control Organisms are ready-to-use QC organisms recommended for use in performance testing of media, stains, reagents and identification kits, and for the evaluation of bacteriological procedures. Let us be your source for complete quality control testing. Thermo Scientific™ Culti-Loops™ are ready-to-use QC organisms recommended for use in performance testing of media, stains, reagents and identification kits, and for the evaluation of bacteriological procedures. Culti-Loops are derived from ATCC® or other referenced sources, and manufactured in an ISO-certified facility. The Culti-Loops are individually sealed in a foil pouch and packaged five loops per package. 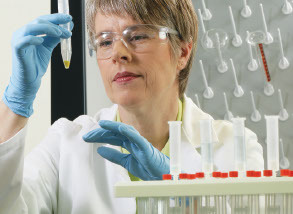 Thermo Scientific™ Quanti-Cult Plus™ provides specific, reproducible numbers of viable microorganisms, derived from authentic, high-quality ATCC® cultures, in a safe, ready-to-rehydrate vial. Each vial delivers up to 10 inocula of 0.1mL, each containing <100 CFU (colony forming units). Protect microorganism cryopreservation system is ideal for long term maintenance of stock and quality control of microorganisms including bacteria, anaerobes, yeast & moulds, dairy and pharmaceutical strains. Preserving in Protect also sustains the exact strain, permitting consistent results every time. The specially designed cryopreservative solution prevents damage whilst frozen and supports the cell whilst suspended.